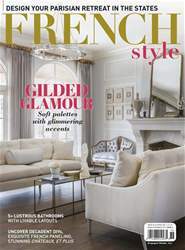 AN OPULENT PIED-À-TERRE IN FRANCE BALANCES CHIC, HANDCRAFTED FURNISHINGS WITH WELCOMING COLORS AND TEXTURES FOR AN OPEN AND ALLURING HOME. 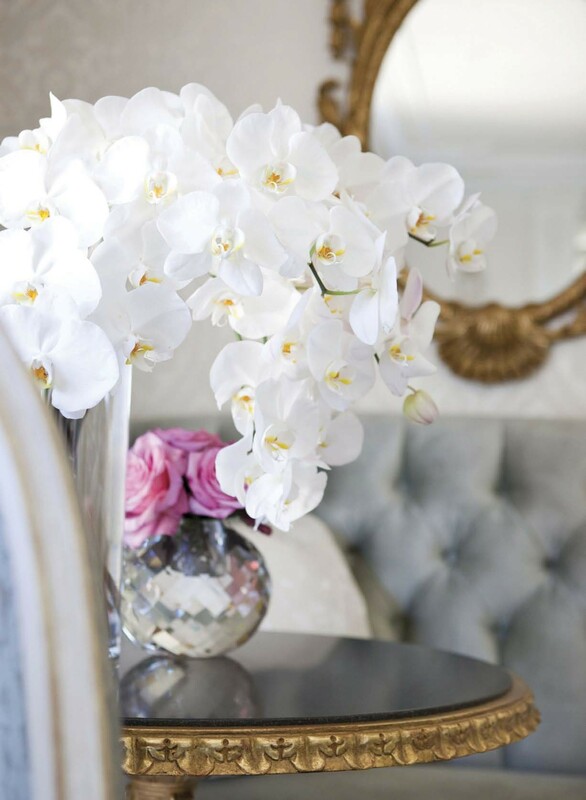 FRESH, WHITE ORCHIDS bloom on the side table and a crystal bowl holds bright pink roses for a bit of color. 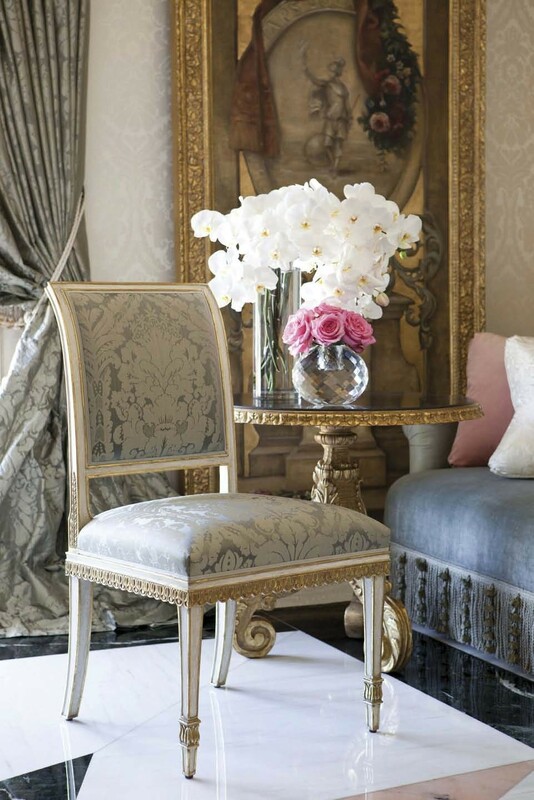 DESIGNING A LUXURIOUS HOME THAT’S AS ELEGANT AS IT IS INVITING CAN BE A TRICKY TASK. For Fari and Melinda Pakzad, founders of Ebanista, it took experience, inspiration and passion to design the home they aff ectionately refer to as Maison de Ville. 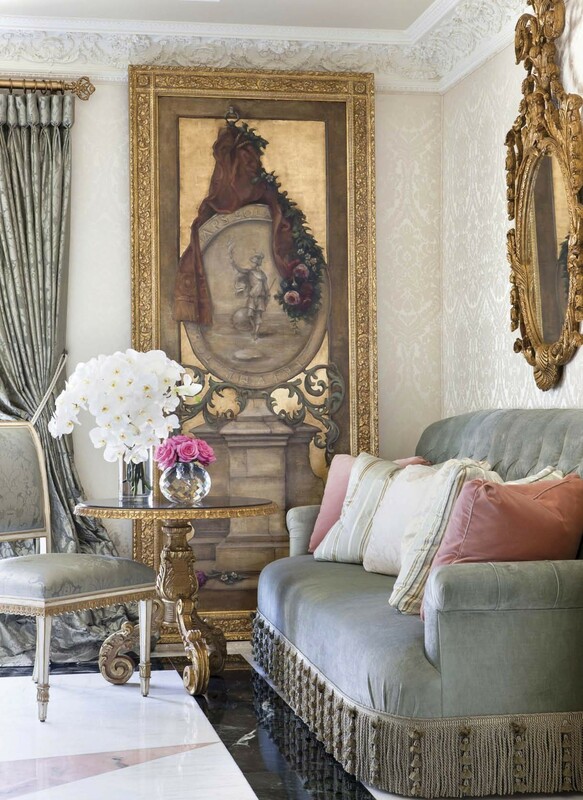 Showcasing their most prized pieces, this home manages to promote both luxury and comfort.